Paul's Question - What shall I do Lord? Paul was travelling to Damascus to persecute Christians. Jesus confronted him. Paul yielded and asked, 'What shall I do Lord?' Paul switched to a personal commitment, an obedient response, and a loyal subjection. ¶“9Those who were with me saw the light and were afraid; but they did not hear the voice of him who spoke to me. 10And I said, 'What shall I do, Lord?' And the Lord said to me, 'Arise, and go into Damascus; there you will be told everything appointed for you to do. '” (Acts 22:6-10). Paul didn't ask, “What will you do, Lord?” He knew that the foremost question to be answered was, “What shall I do, Lord?” It's all very well to talk in terms of “you”, and “we”, and “they”. But the first question to ask is the one with the first person pronoun, “I”. Paul later wrote,"We shall all stand before the judgment seat of Christ... Each of us shall give to God an account of self." (Romans 14:10-12). We won't be giving an account of someone else, just of self. It's right for us to encourage others to a personal commitment to Christ, but our priority is dedication of self. Jesus said, "No one who puts a hand to the plow and looks back, is fit for the kingdom of God" (Luke 9:62). Only a constant personal commitment to Christ will do. As Paul’s journey to Damascus ended, a new journey began —a lifelong journey of dedicated service and self commitment to the Lord Jesus. At the end of that journey Paul wrote, "I have fought the good fight, I have finished the course, I have kept the faith" (2Timothy 4:7). Paul didn't ask, “What shall I think, Lord?” He asked the right question, “What shall I do, Lord?” Of course Paul had to change his thinking. But he knew he had also to change his works. He had to stop doing what he was doing, and find out what he must do instead. The popular “gospel” today is that people are “saved by faith only” and faith is given them by “grace alone”. That was clearly not so in Paul’s experience. 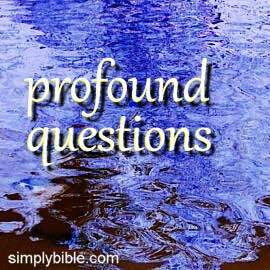 He asked what he should do and Jesus accepted and answered Paul’s question just as it stood. That objection is seen to be false, for among the things Christ’s messenger Ananias said to Paul in Damascus was, "And now why do you wait? Rise and be immersed and wash away your sins, calling on the name of the Lord." (Acts 22:16). Paul had his sins washed away when he obeyed that command which required him to do two things: be baptized upon confessing the name of the Lord. Paul had asked, “What shall I do?” The command from Ananias was part of the answer and it concerned Paul’s salvation. Paul had already first asked the question "Who are you, Lord?" and the answer came, "I am Jesus..." (Acts 22:8), In the second question, Paul knew whom he was calling “Lord”. By calling Jesus “Lord”, Paul was acknowledging the need to subject himself totally to Jesus. He did not ask “What shall I do, friend?” or even “What shall I do, Rabbi?” He called Jesus his Lord, his Sovereign. Of course, Paul did become Jesus’s friend and disciple. However when he asked, “What shall I do, Lord?” Paul was the enemy of Jesus. But Jesus was nevertheless Paul’s Lord. Jesus is everyone’s Lord, and to his name, sooner or later, "every knee shall bow" (Philippians 2:10). Do you think it is wise to be the enemy of your Lord? No, rather be reconciled to him. Become his loyal friend. He has made that possible by the sacrifice he himself made for you. Paul took this message to the world and it has been passed down to you: "God was in Christ reconciling the world to himself... we implore you on Christ’s behalf, be reconciled to God" (2Corinthians 5:19-20). If you, like Paul, believe Jesus is Lord and have had a change of heart, what should you do? Do what Paul did. "Arise, and be immersed, calling on the name of the Lord." (Acts 22:1). If and when you have done that, be dedicated and faithful to Jesus your Lord. Be loyal to him through all the journey of your life. And in that endeavour, may our Lord be your companion, strengthen you, and give you the victory.